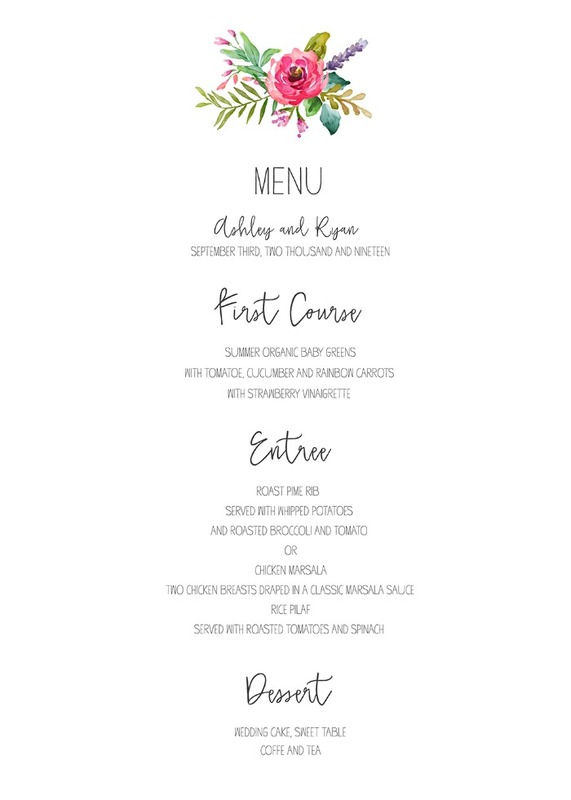 Printable wedding menus. Fill out your menu and print. A fully customizable editable template that you can print for free.